Disney veteran Jason Peltz has a Kickstarter campaign that every hand-drawn animation fan should join in on. 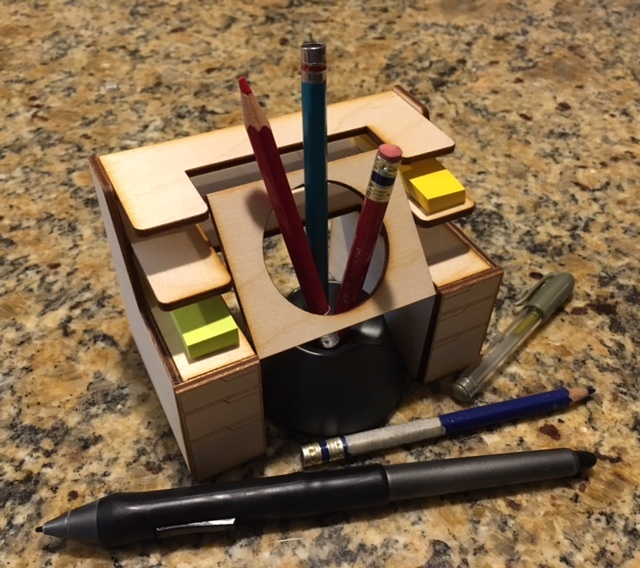 He created a “Miniature Animation Desk/Stylus Holder”. I know many of you have switched to digital, this will be a good reminder to never forget the roots of animation. Jason’s campaign was fully funded within 1.5 days that’s almost 200% within 3 days! Congratulations Jason! If you own a tablet or Cintiq, this holder is right for you. It will definitely make a great addition to your work area. If you wish you could one day own a full size animation desk like this, this will be a good starter desk until that day. You hit your Kickstarter funding goal! That must feel great, did you expect to hit your goal so fast? Jason: This was my first outing with a Kickstarter campaign, so I really had no idea what to expect! I kept my expectations low, incase it didn’t resonate with the Kickstarter community. I’m glad it struck a chord with the fans, and I know it’s something I’d want on my desk! Can you tell us a little about your animation career? Jason: Growing up, I knew at a very young age I wanted to draw Mickey Mouse for a living! I went to college to study illustration- but while in school, Disney was promoting/recruiting for Beaty and the Beast, showing us a work-in-progress reel. I had never seen anything like this before, and it opened my eyes to the industry. I immediately took up a minor in animation. After several rejection letters from Disney, I took a job in Chicago working on Animaniacs and Pinky and the Brain. This experience and the right timing, got me accepted into Walt Disney Feature Animation. I worked in the FL studio for almost a decade, on such films as Hercules, Mulan, Lilo & Stitch, Brother Bear, Princess and the Frog and many others . 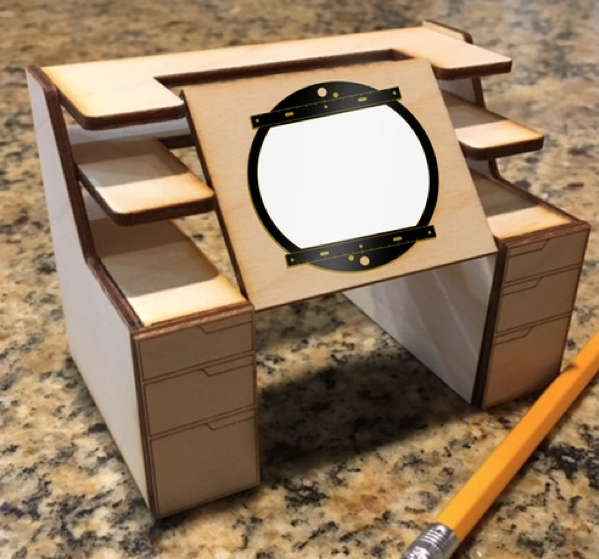 How did you come up with the idea for the miniature animation desk? Jason: I’ve taken up digital sculpting, and heard of a Maker Space in town. They have 3D printers, C&C machines, laser cutters, and other similar machinery. I went with a buddy mostly to check out the 3D printers, but once I saw the laser cutter and it’s capabilities, I thought how cool would a desk sized ‘animation desk’ be? And the blending of traditional desks, and digital drawing tools seemed like a fun juxtaposition! Do you only work digital or do you still animate with paper? Jason: I’ve had less animation opportunities lately, but have been doing a lot of illustration/merchandise designing. I still, almost always, start with my concepts on paper, then take them into the digital world for refining/color.